Bengali Tomato Khejur Chutney is a delicious sweet, spicy & tangy chutney made with tomatoes, dates and raisins and flavoured with the aromatic panch phoron. It is generally served at the end of a meal along with cruncy fried papads. This is also a popular chutney served at Bengali wedding feasts. 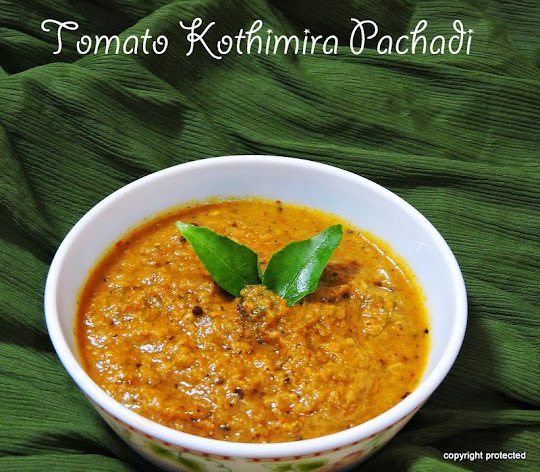 There are a many variations to this delicious tomato chutney. Some add aamshotto (mango leather) to get the delicious mango flavor. Some add tamarind pulp too for that extra bit of tanginess. And also the amount of sugar needs to be adjusted according to taste buds. 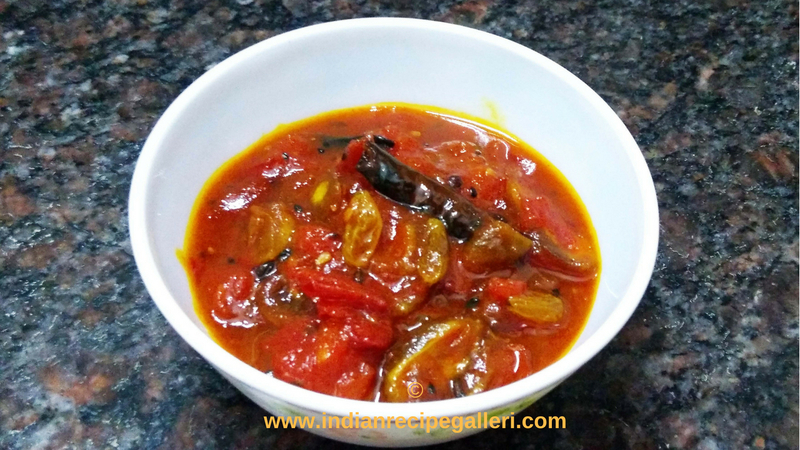 This sweet tomato chutney is quite easy to prepare and can be cooked in less than 20 minutes. If refrigerated, stays good for 4-5 days. If you are looking for more chutney recipes, then do check tomato onion coriander chutney, red spinach chutney, okra chutney, tomato chutney for dosa, garlic chutney and brinjal chutney.